The 70-year-old bomb expert was brought from Tihar jail to the court premises here amid tight security. Who is Abdul Karim ‘Tunda’? 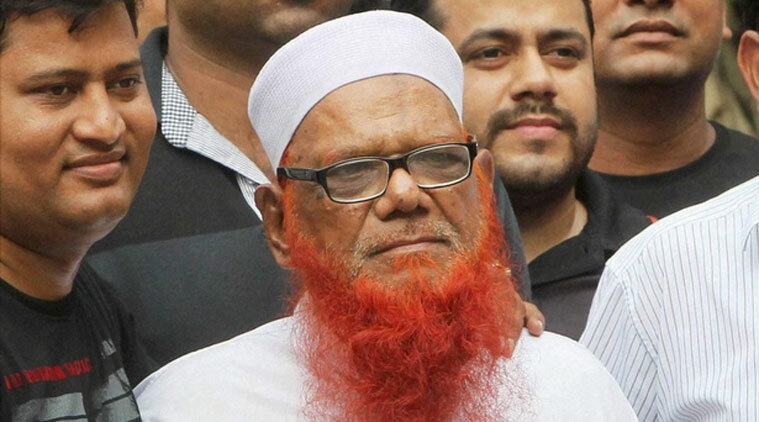 Top Lashkar-e-Taiba bomb expert Abdul Karim Tunda was produced in Chief Judicial Magistrate court today by the Delhi Police in connection with four bomb blast that took place in the district in 1997 after which the case was shifted to the Sessions court. Chief Judicial Magistrate, Harendra Prashad, transferred the case to District and Sessions court, District Prosecuting Officer SK Singh said. Now he will be produced before the Sessions Court on October 28, Singh said. The case against Tunda is lodged in Sahibabad police station here and this was the first time that he was produced in a court here in connection with the blasts. Ghaziabad Court had proceeded under Section 82 and 83 Cr PC (Criminal Procedure Code) declaring him proclaimed offender and attached his property at his native place in Pilkhua, now a town in Hapur district. He was arrested by the Special Cell of Delhi Police on August 16 last year from the Indo-Nepal border. Tunda, one of the 20 terrorists India had asked Pakistan to hand over after the 26/11 Mumbai attacks, is currently in judicial custody in connection with various terror-related cases lodged against him. Deputy Superintendent of Police, Ran Vijay Singh, told that District Court premises was kept under tight security in the wake of Tunda’s date in the court.